Many people have trouble understanding evidence. This is not accidental; it's by design. The CIA (and other entities I am sure) have been practicing brainwashing and mind control on human beings for quite some time. People who believe 9/11 was performed under the guidance of a guy in a cave in Afghanistan might not be looking at the evidence properly. These individuals tend to rely on faith rather than face up to what is happening. Even more, many in the 9/11 Truth Movement itself seem unknowing of the PSYOPS being conducted by the 9/11 cover-up perpetrators, as they, too, are not weighing the evidence properly. If 9/11 was an inside job, it would certainly make sense for the perpetrators to create propaganda to distract those who are already suspicious of the 9/11 events. What types of propaganda are we talking about? One example is molten metal. Much of the evidence for molten metal at Ground Zero seems to come from eyewitnesses who are on government payrolls. Is this reliable? It might be. But we must look at other evidence (or lack of) as well. 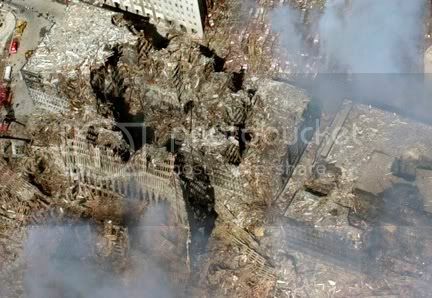 For instance, are there any pictures of this molten metal in the ruins at Ground Zero? Answer: No. While some may believe there are pictures, this does not change the fact that there are no pictures. 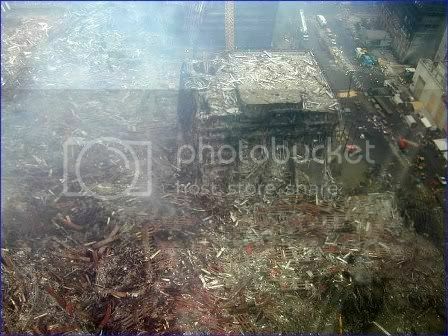 If molten metal existed at Ground Zero, would the hydraulics on the cleanup trucks have worked? Answer: No. Mechanical Engineering handbooks show the temperature of hydraulics to fail at a fraction of the temperature of molten metal. What about the water? Would water (either fire hose or rain) have coexisted with molten metal? Answer: No. There would have been multiple steam explosions. If workers' boots melted because the ground was so hot, would their feet have survived? Answer: No. Their feet would have been cooked. But the propaganda doesn't stop there. If the cover up perpetrators went through the trouble of creating false molten metal stories, would it not make sense for them to also distract people from what really happened? Wouldn't the perpetrators "condition" the Truth Movement into thinking certain ideas to be "crazy"? What better way for them to keep the real truth a secret! Do aluminum airplanes with plastic nose cones glide through steel/concrete buildings? Answer: No. If a building "collapses", would most of the building material and contents turn to dust? Answer: No. Would a "building collapse" cause round cylindrical holes, or a clean vertical cut, in neighboring buildings? Answer: No. Weighing evidence is important and should be done by the individual. People should look at evidence and make up their own minds instead of relying on "mild mannered" scientists to do this for them. If 9/11 was well planned, wouldn't the cover-up be even more well planned? - Just imagine how many potential "exposures" must be accounted for. Is there infiltration into "the 9/11 truth movement"? You bet! 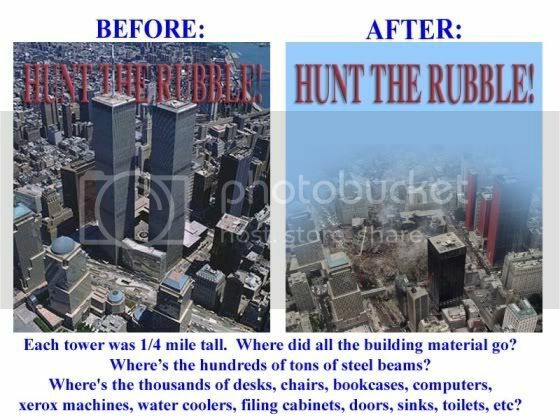 Isn't "the 9/11 truth movement" just another planned controlled demolition? So, one must ask, in the face of overwhelming evidence against the "molten metal" legend, why is it being promoted so strongly? What are the promoters of this "molten metal" legend so desperate to cover up? - long-term venting of "fumes" from the site? What kind of physical scientist would disregard basic physical principles and data to promote this legend? And why? What kind of social scientist would disregard basic logic to promote this legend? And why? Most of all, why would this new organization, promoting itself as "scientific," be promoting this "molten metal" legend as evidence of controlled demolition? Let us apply some logic here. Is a "cutting charge" an "explosive"? Let us apply some logic here. How can "an incendiary cutting charge" OR "an explosive" cause mid-air pulverization? In conventional controlled-demolition (CD), the building's supports are removed (with explosives) to allow the building to drop to the ground. The impact of hitting the ground is what breaks up the building. So, how could "mid-air pulverization" be included as a classic characterization of controlled demolition? However, I note that the site cited has not explicitly stated the connection between "conventional controlled-demolition" (CD) and "explosive demolition." However, it is strongly implied as the conclusion they wish readers to make. Perhaps they have deliberately allowed themselves wiggle room? If so, why?